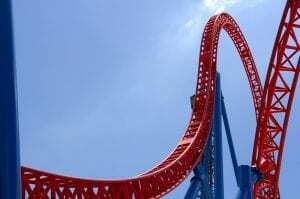 Your Career Path – Is It a Roller Coaster Ride? Ideally, you might hope to have a career path that runs smoothly forward and has at most a gentle hill or two on the way to lasting career success. Just don’t count too heavily on that happening. Unless you’re very fortunate or savvy–or both–your journey to career success might more closely resemble a roller coaster ride than a smooth path. Why is that? For starters, life is seldom simple and straightforward, so it’s understandable that your career path might not be either, at least overall. What Causes a “Roller Coaster” Career Pattern? You take a long time to make up your mind what direction you really want to go. You change your mind multiple times during the journey, leaping randomly from one choice to the next. You encounter unexpected obstacles that throw you off-course in pursuit of your career goal. 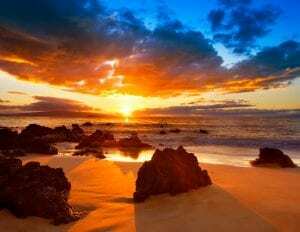 You reach a point in your career where you become deeply dissatisfied and decide a change is essential, although you know it will be difficult. You find that your chosen career destination is no longer available to you or is becoming noncompetitive (made obsolete, etc.). In each of these cases, you have to reexamine your choices and determine where to head next. It doesn’t always–or even often–follow a smooth, straight line. What Can You Do to Smooth Your Career Path? 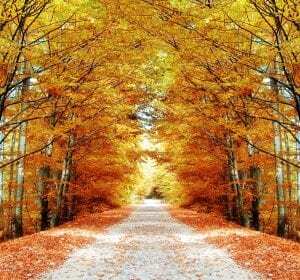 You can hold in your mind the image of a peaceful stroll along a quiet country road–that might be relaxing, but it’s probably not realistic for your career success journey! What you can take from it, however, is the understanding that your choice of paths and directions will likely influence how that path ends up looking and feeling to you. For instance, if your career goal is highly ambitious–say you want to be CEO of a Fortune 500 company some day–you’ve set yourself a much more challenging task than if you simply wanted to be a good high school math teacher or a skilled editor/proofreader. Those goals are worthwhile and can usually be achieved through a combination of study and practice, strengthened by experience over time. Achieving a major position as a C-level executive or something of that sort requires a lot more. Bear in mind that you will probably (I can almost guarantee it) encounter at least a few obstacles or setbacks that require you to rethink your situation and make adjustments. How alert you are to spot those and alter your plans can seriously affect the extent of the changes you need to make. In other words, you can reduce some of the roller-coaster severity by paying careful attention to your career progress and any potentially disruptive factors that might pop up. Resilience combined with resourcefulness and determination can provide you with a powerful career boost and help you minimize the unpredictability of the ride, even though they can’t guarantee a completely smooth one. To some people, using visioning techniques seems too woo-woo to be practical. However, it can be a useful tool when supported by other methods. Remember what your career goal and related success mean to you, what they “look” like. Doing this can help take out some of the peak-to-bottom-and-back-again craziness and also some of the uncomfortable twists and turns. The resulting ride should feel much less disturbing and lead you productively to the desired result–a career success that’s truly satisfying and gives you a sense of peace about the choices you’ve made along the way. ← Career Disaster Preparation & Recovery Plan – Do You Have One?